Even though we live in a world with a dominant social and advertising presence online, the world of promotions and publicity still finds a strong support in brochures and other handy and physical tools. One of the prime reasons why the brochures act as a crucial tool of promotion is because they help to give the customer a detailed information on the subject of discussion and also make the information appealing with a stunning selection of colors and unusual photographs. Whether you are looking for design inspiration for your business or your next creative project, we have today compiled a list of 10 brochure designs that will get your creative juices flowing just in the right direction. 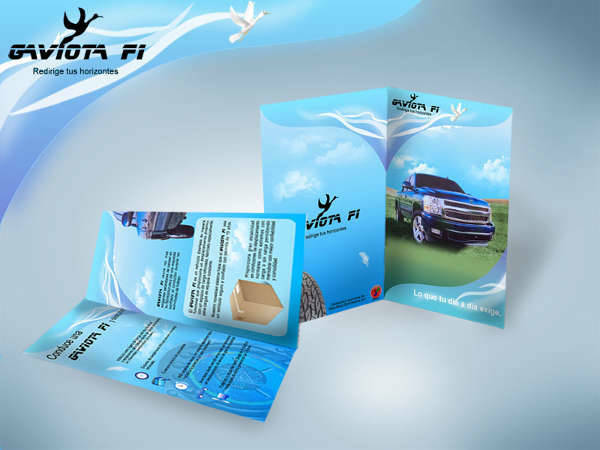 This brochure has been designed with a number of occasions in mind, thus, it acts as a diverse pick for a number of businesses. 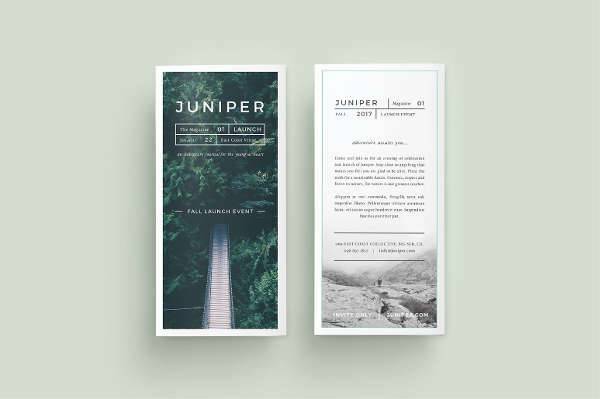 Juniper is a multipurpose trifold A-4 brochure that features a professional typeset text with paragraph and character styles. 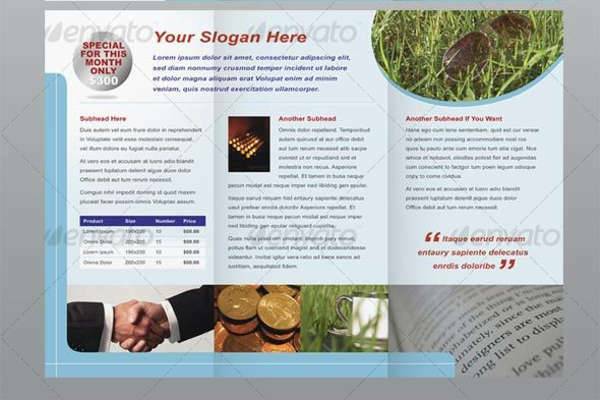 The brochure also includes six unique customizable panels making it easy and effective to add and delete text. 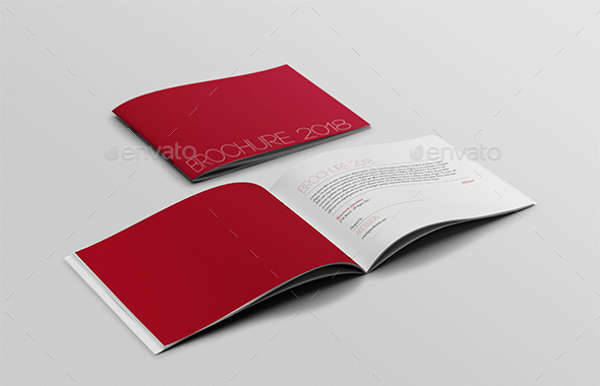 This A5 size brochure is a compact and creative option for the business with multiple clients. The brochure comes with a large space allocated for the images making it shine out from the other text filled brochures which we generally see in the market. Fashion brochures need to be extra alluring to not just attract the attention of the eye but also register well in the mind of the customers. This brochure comes with a large space for a logo design at the front and a minimal overall design that will reflect the elegance in a clean and precise manner. 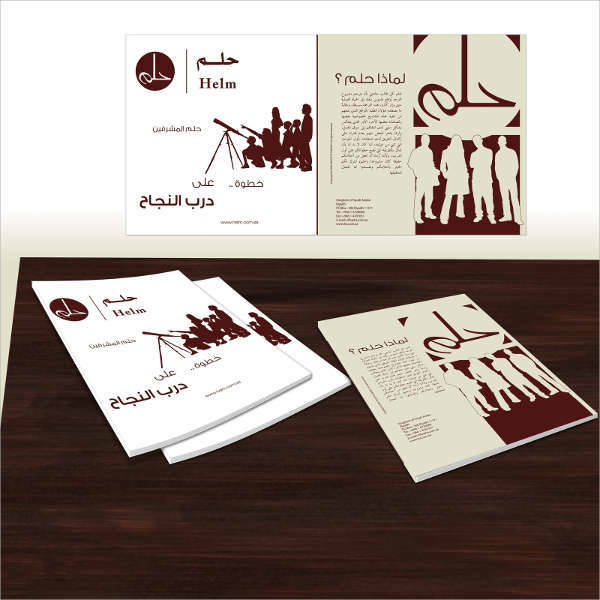 A traditional 2-page brochure, the design spreads across the cover and the inner parts making the layout professional and balanced. The linear layout helps to arrange the data systematically making the information listed legible and clear. 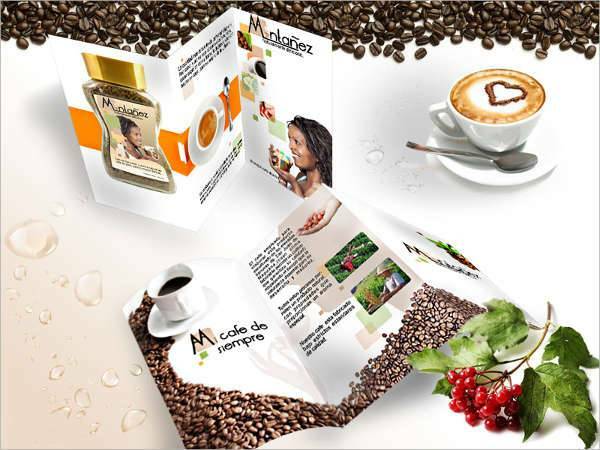 The brochure from its very first glimpse lets you virtually taste and smell a fresh cup of coffee. The professionally executed photo of coffee beans acts a primary background for the covers and the following pages. Helm Brochure features a pleasant and unique aesthetic that goes along well with a clever utilization of negative space and white space that coordinates well to add the needed visual interest. 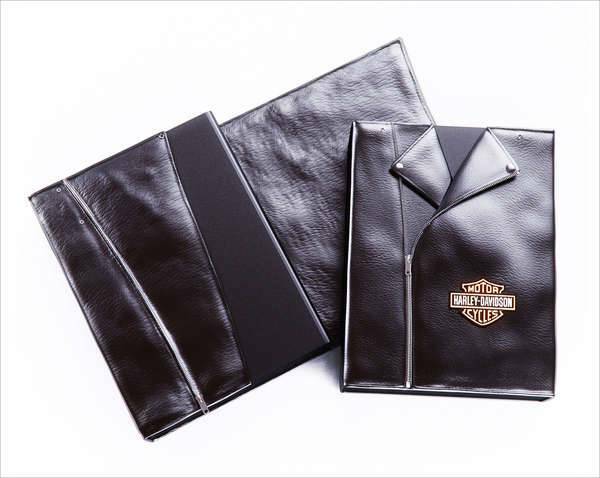 Harley personifies and translates its masculinity and class through the design of the brochure. Offering a reflection of virility that holds a strong connect with the brand, the professionally treated leather texture and a vigilantly crafted zip fits well with the design and make the design pop. 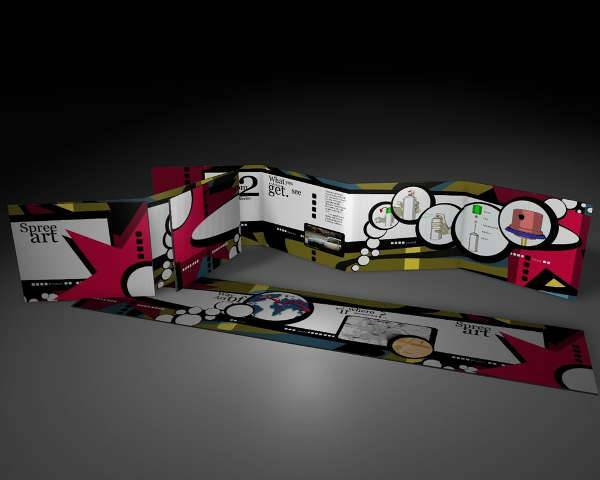 Leporello Street Art takes away the monotony of the conventional design with an artistic brochure. Energetic, charismatic and urban, the geometric shapes, solid color shapes, and white space bring out the true theme and nature of the brochure. The Conqueror is one tonal brochure that exudes confidence with sophisticated design. The natural leathery texture gives the impression of luxury and chic. 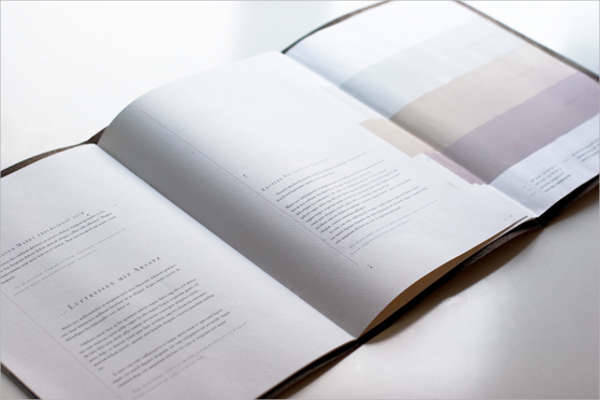 The inside pages of the brochure are made of high-quality paper that is spruced up with elements of letterpress effect. The content is organized neatly with a soft and pastel choice for color. The six-page modern brochure features a content intensive design that creatively incorporates the images making them a part of the background and the visually inclined and powered design. The neutral shades carry a pleasing tone making the brochure establish a business like atmosphere. Take a look through the above-mentioned examples and open your doors of thought to creative and uncommon inspiration.